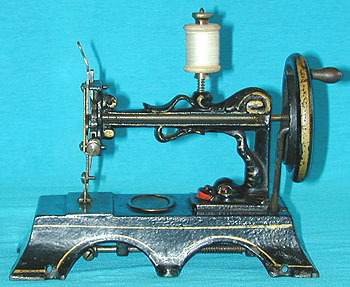 Toy sewing machine - La Favourite. This French miniature is known as "La Favourite". It was possibly produced as an upmarket toy. Relevant patents date from the 1870s.